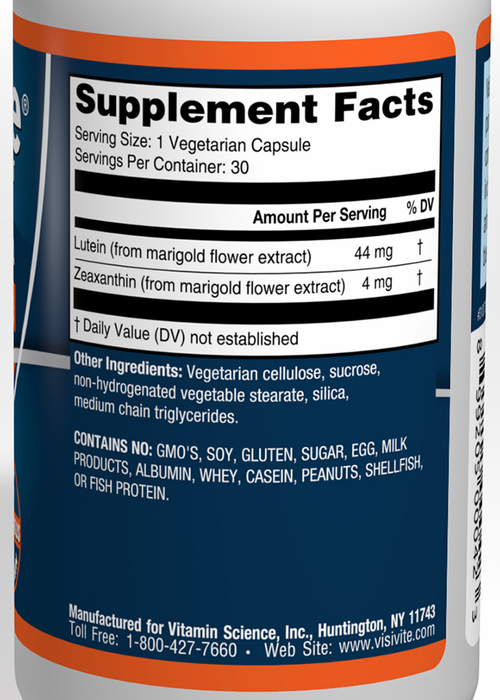 Contains 44 mg lutein plus 4 mg zeaxanthin in clear vegetarian capsules. 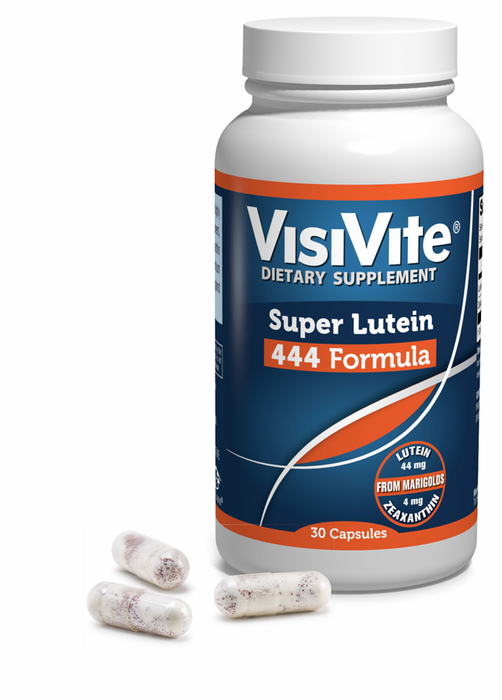 VisiVite Super Lutein 444 Capsules don't look like other mass-marketed eye supplements. Natural Lutein and Zeaxanthin have a deep color to them, unlike synthetic versions. With 44 mg lutein and 4 mg zeaxanthin, its clear vegetarian capsules show the beautiful colors of nature clearly. 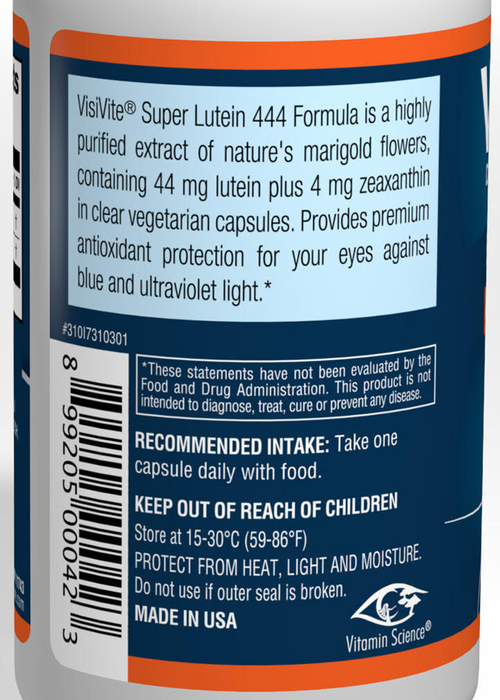 Other eye supplement capsules have synthetic light-colored fillers that block the pigment from being seen so clearly.Super Lutein 444 capsules are truly unique. 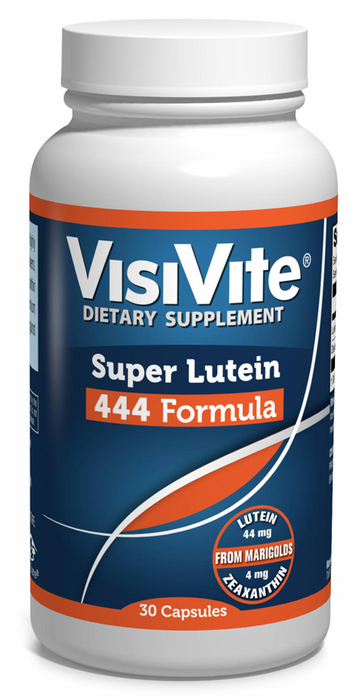 VisiVite's high lutein formula, naturally sourced from marigolds. I have had eye disease for appx 50 years, and notwithstanding Glaucoma's debilitating results I still get immediate improvement in my vision.